Finances can be overwhelming. These tactics make it simple. Who doesn’t have the goal of seeing the number in their bank account tick upwards? But while “save more, spend less” sounds like an easy enough game plan, the majority of us aren’t following it. According to a new Bankrate survey, one-third of households had a major unexpected expense last year costing at least $2,500. The problem? Only 39 percent of Americans say they have enough emergency savings to cover a $1,000 emergency. Clearly there is a discrepancy between how much we are socking away and our real financial needs. “Part of this is due to an increased cost of living and part is excessive spending on non-essentials,” says Graham Summers, MBA, the President and Chief Market Strategist of Phoenix Capital Research and best-selling author of The Everything Bubble: The Endgame For Central Bank Policy. In other words, part of the problem is completely under our control. Cut back on your expenses. Expense Cutting Tip #1: Start counting non-essential expenses. Obviously this is easier said than done since so many of our daily purchases are built seamlessly into our daily routine: your morning coffee, the sandwich from the office cafeteria, the pit-stop for a few things at the grocery store on the way home from work. Use physical cash to pay for non-essential purchases. This makes you more aware that you’re ‘spending money’ and makes spending money more difficult since you have to find an ATM. Put all non-essential purchases on one specific card and add them up every week. “You’ll be astonished how much you’re spending when you actually add it up,” says Summers. “This makes you ‘see’ how much you’re wasting." Introduce a limit for restaurants/bars. Summers and his wife have a rule of only two meals prepared outside the house per week, which has benefits beyond simply saving you money. Cooking is a way he and his wife spend time together, it’s healthier (you know exactly what’s in the food) and there’s usually leftovers for lunch the next-day, says Summers. Prepare your coffee at home and take a thermos. 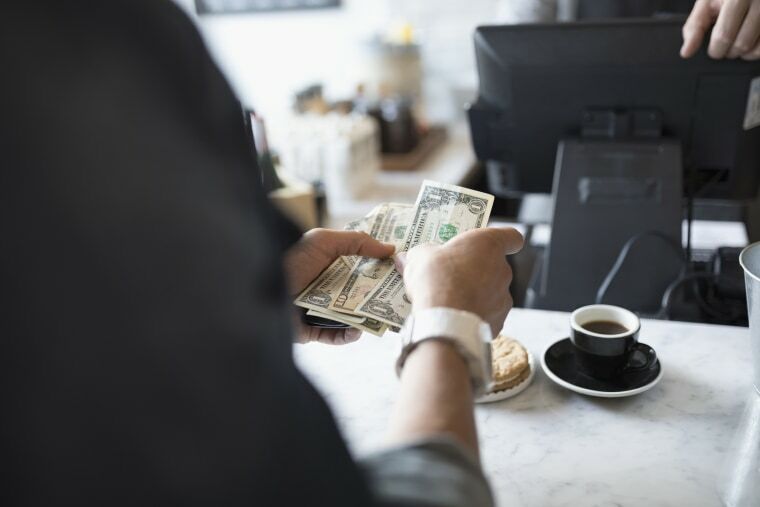 The couple bucks you shell out for a coffee might not seem like a lot, but it adds up: 1 in 3 Americans spend over $1,000 a year at coffee shops, which is more than they invest! Investing is about making educated decisions, which can be hard since the stock market is overwhelming and confusing for a lot of people. “Investing is so important, but unlike exercise, or other healthy habits, it’s generally kept in highly technical terms so novices cannot understand it,” says Summers. Before you invest, inform yourself by picking up a book that caters to those with zero experience in investing or finance so that you’ll easily understand it. Once you’ve read up. It’s time to dip your toes in the investing pond. “You don’t need to be reckless,” says Summers. “A conservative approach can lead to outsized gains." For example, if you're ready to get into the investing game, consider real estate. Summers says to look for properties you can get cheaper, to increase the potential for gain on your investment. Look for "pre-construction" or properties "for sale by owner" for the best deals. If neither of the above are possible, look for properties on the outskirts of developing areas, where you can capitalize on the ripple effect of property values from the next neighborhood over. If you're still a long way from being able to invest, there are still things you can do to make more money outside of your day job. “If you’ve got a hobby and a dream, go for it … in a sensible way,” says Summers. “Just as no one gets in great shape from staying comfortable, no one gets rich by not working hard and taking a chance." Have a hobby that you have considered turning into a business? The time is right, says Summers. “The economy is turning up, regulations are being rolled back and capital is still reasonably cheap. You can write-off things related to your hobby as you move to make it your profession. If you start a blog, you can write off website expenses, your Internet bill, some office furniture even if you work at home, and even some travel costs."